A report recently released by NREL for the U.S. Department of Energy examines the wind power plants of the future and determines that new energy science and technological innovation could cut the cost of wind energy in half by 2030, making it fully competitive with other energy sources such as natural gas. Reduction of uncertainty through high-fidelity physics models of complex flows with application of supercomputing and data science, a systems engineering approach over the multiple length and time scales involved, and integrated real-time plant sensing and control will play a major role on these so-called SMART (“System Management of Atmospheric Resource through Technology”) wind power plants. We are working on the development of the website of the project together with our European partners. 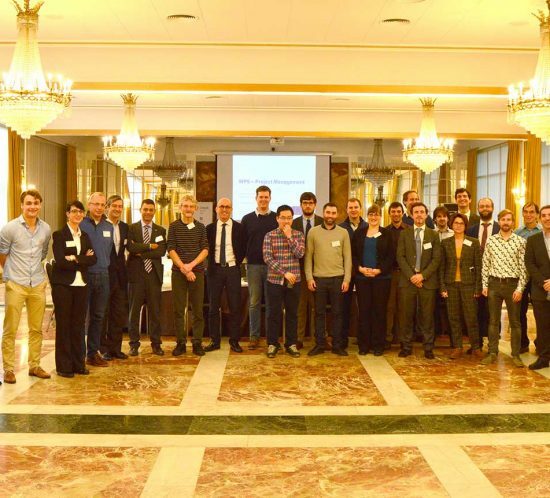 On 22 and 23 November, it took place in Pamplona the first meeting of the European project CL-Windcon (Closed Loop Wind Farm Control), coordinated by technicians from the Wind Energy Department of CENER (National Renewable Energy Centre of Spain). 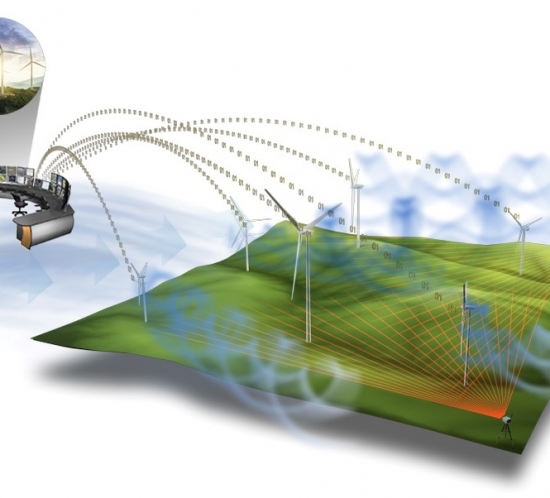 The project sets out a new way of designing and operating wind farms, shedding light on the closed-loop control paradigm. It deals with the uncertainties at farm level, and ultimately seeks the increase of power output and the reduction of the uncertainty corresponding to such power output. The main challenge for CL-Windcon is to carry out the advanced control of large wind turbines and wind farms on a global scale, simultaneously improving the efficiency and reducing the cost of energy. Another challenge consists in the application of the new solutions developed within the project to existing and newly-designed farms. 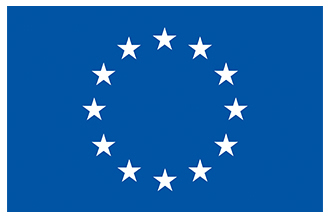 This project has received funding from the European Union’s Horizon 2020 research and innovation programme under grant agreement No 727477, 14 partners from 6 countries participate in, and it will have a duration of 36 months, coming to an end in October 2019. 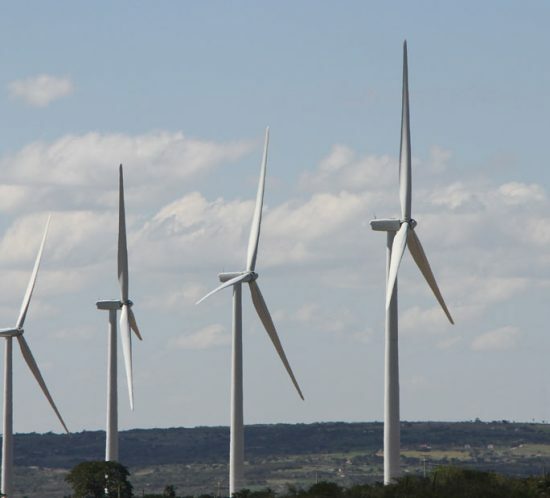 The expected outcomes of this project are ambitious: a reduction of the levelized cost of energy (LCoE) of 10%, achieved through an increase in the wind farm energy production by 4-5%, a reduction of O&M costs by 4%, a lifetime extension of 1%, and a material cost reduction for turbine components by 3-4%. CL-Windcon will also include a comprehensive analysis of economic and environmental impact of the technical improvements resulting from the project, as well as standards review for future wind turbine and farms design. Current practice in wind turbines operation is that every turbine has its own controller that optimizes its own performance in terms of energy capture and loading. This way of operating wind farms means that each wind turbine operates based only on the available information on its own measurements. This gets the wind farm to operate in a non-optimum way, since wind turbines are not operating as players of a major system. 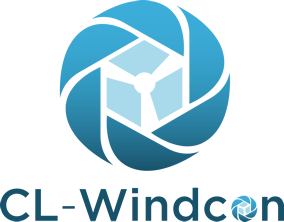 In order to achieve its goals, CL-Windcon will address advanced modeling, open- and closed-loop control algorithms at a farm level by treating the entire wind farm as a comprehensive real-time optimization problem. New innovation solutions will be provided to the wind energy sector on the basis of advanced control and optimization strategies. This will be possible thanks to the development of appropriate dynamic tools for wind farm simulation at a reasonable computational effort. Validation of the models and the control algorithms will be performed by fully detailed simulations, wind tunnel tests and field testing on a real wind farm. The tools for wind farm dynamic modelling will be fully open source at the end of the project. The partners of the project are, by countries: General Electric, Ramboll, University of Stuttgart, Technical University of Munich and UL International GMBH / DEWI (Germany); Enel Green Power and Politecnico di Milano (Italy); Aalborg University (Denmark); Delft University of Technology and the Energy Research Centre-ECN (The Netherlands), Garrad Hassan (United Kingdom), and in the case of Spain, Ikerlan-IK4, Qi Europe, and CENER as project coordinator.